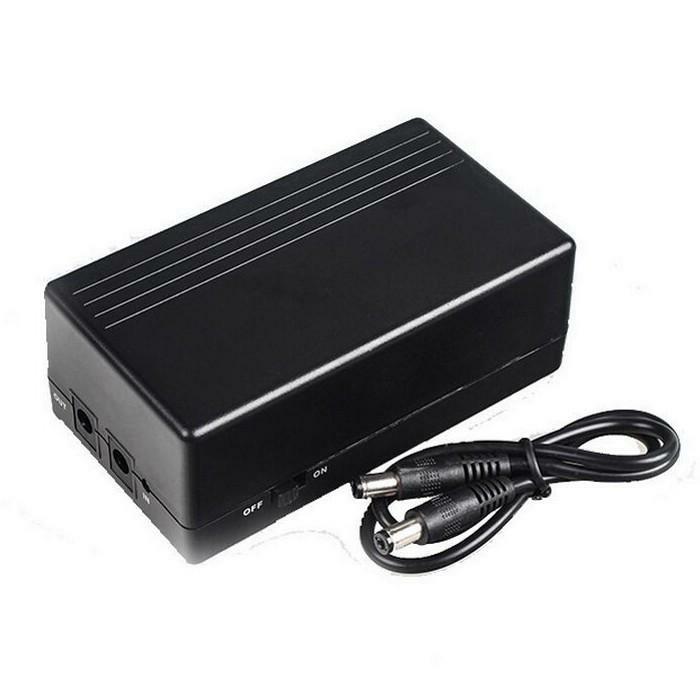 Mini UPS uninterruptible power supply is a standby energy storage power supply. Used safe and environmental lithium cells, credible and stable PCB, trickle/constant-current/constant-voltage lithium battery charging BMS, Created by high performance and efficiency DC-DC, boosting and switching circuit. This mini UPS with perfect over-charged, over-discharged, over-current and short-circuit protection. Smart 5V mini ups widely use for Router, Fingerprint attendance machine, Fire safety system, Security monitoring system, Wireless camera, CCTV camera ,personal treatment system, Door security system, Personal data assistant,Eemergency lighting, Alarm system, Personal communication systems, Radio, Digital cameras, Camcorders, Video camera, bluetooth devices, CD players, MD players, Portable DVD, MP3 players, smart cards etc. Should store the mini UPS under the pleasantly cool and arid place if long time don’t use it. Otherwise poor performance may occur due to the poor connection with the equipment. Do not expose the mini UPS in the rain or snow. Do not use or leave the mini UPS near a heat source as fire or heater. Do not connect the DC cable in wrong way. Do not use the wrong voltage adapter. Equipment voltage must matching with the mini UPS voltag. If long time did not use this mini UPS, suggest 3--5months to charge it once.